October has been a crazy emotional month. Most of what I write about in this blog pertains to specific experiences. This past summer was certainly filled with activities of all kinds, trips to various interesting places, and new experiences. It is what I love doing. I started writing this travel blog to catalog my experiences. However, this month, I feels like all I have been writing about is heavy emotional types stuff. For an experience is not just simply the place one visits. It is also about what one does at that specific place. It is often about the company one keeps, and who that experience is shared with. It is the thoughts and feelings we all experience when in various places. It is the revelations we come to, about life, about the people around us, and about ourselves. It is also the connections we make, or the connections we deepen on these trips. I often have some of the deepest conversations with others on lengthy road trips. On the evening of Tuesday, October 27th, 2015, last night at the time of writing, I unexpectedly had to say goodbye to not only a travel companion, but also a companion in life- my dog Juno. 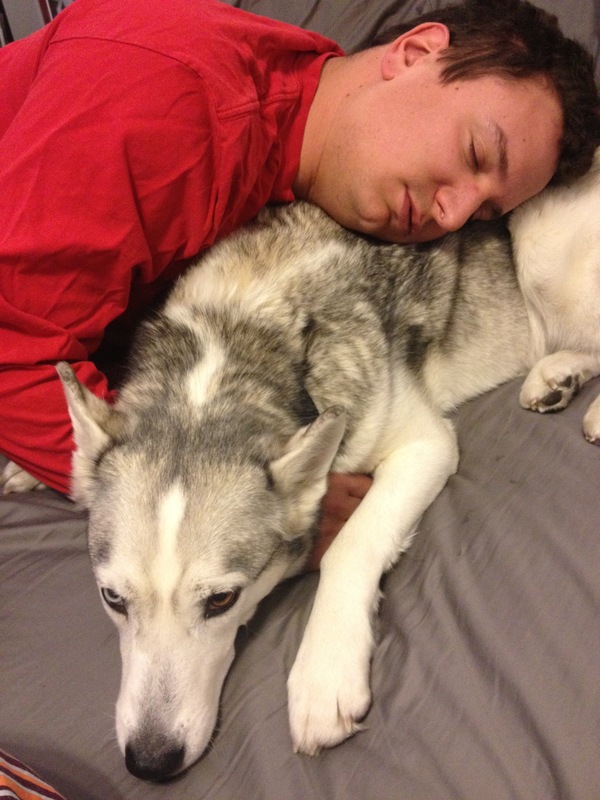 It is nearly impossible to fully describe how it feels to have lost a companion an wonderful as Juno. Not only did we share a ton of adventures together, but we also shared a lot of aspects of day-to-day life. 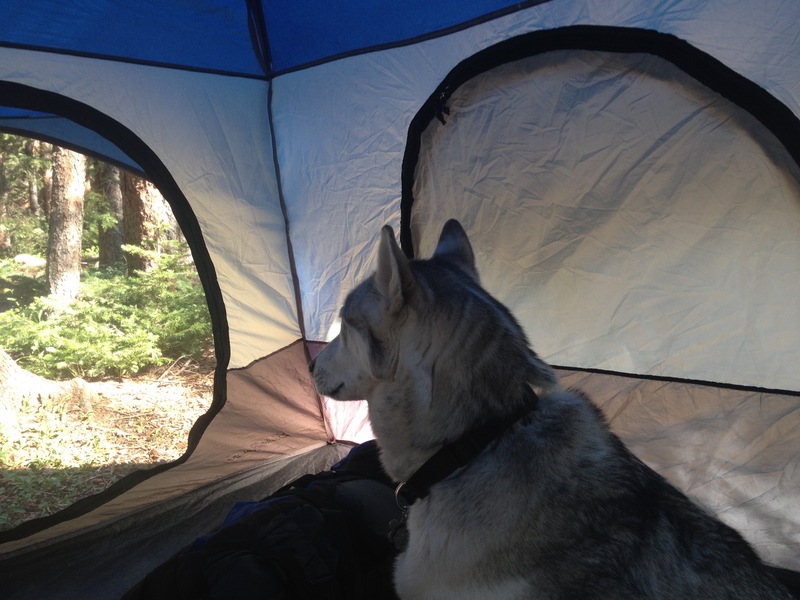 As one can see by looking through the pictures on this blog, Juno would accompany me on quite a few adventures, from hiking, to camping, and so much more. 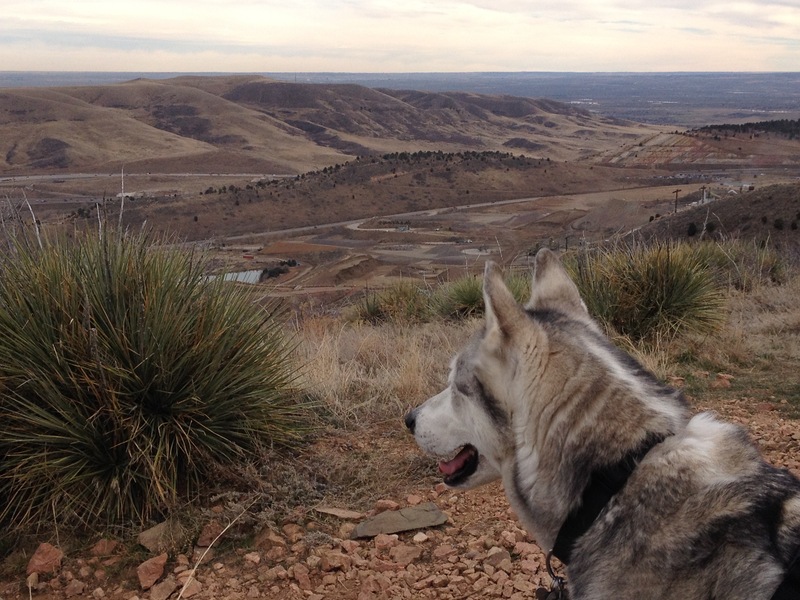 As a cold weather dog (Siberian Husky), she particularly loved the mountains. In fact, I remember the look on her face when we departed from one of our weekend camping trips in the mountains. She knew we were headed back to Denver, and the look on her face said, clearly, “Why don’t we live here (in the mountains) instead of there”. But not only was she around through all of the fun times and adventures, she was also present for my day-to-day life, the ups and the downs, and well, the part of our lives that is not always as glamorous. One thing we as human beings in the 21st Century tend to do, when we invite others into our lives, is only invite them for the good part, the fun part, the adventurous part. This comes, obviously, out of the desire to be liked. So, we present the portion of ourselves that we feel is most likely to be desired by others. But, it is when those around us see the part of us that is not so great, the part of us that deals with discomfort, pain, disappointment, and heartbreak, that we build deeper connections. Juno saw me in all parts of life; the night, as well as the morning after, when the consequences often come. It is really impossible to replace a companion like this. A friend, whether it be a two-legged friend, or a four-legged one, simply cannot be replaced. There is no substitute for the experiences we have had together. There is no substitute for the way we interacted with one another. And there is no substitute for the joy we had brought into each other’s lives. Experiences cannot be replicated by design. One can only hope to find something similar, or to happily move on to a new and positive experience when one is done. 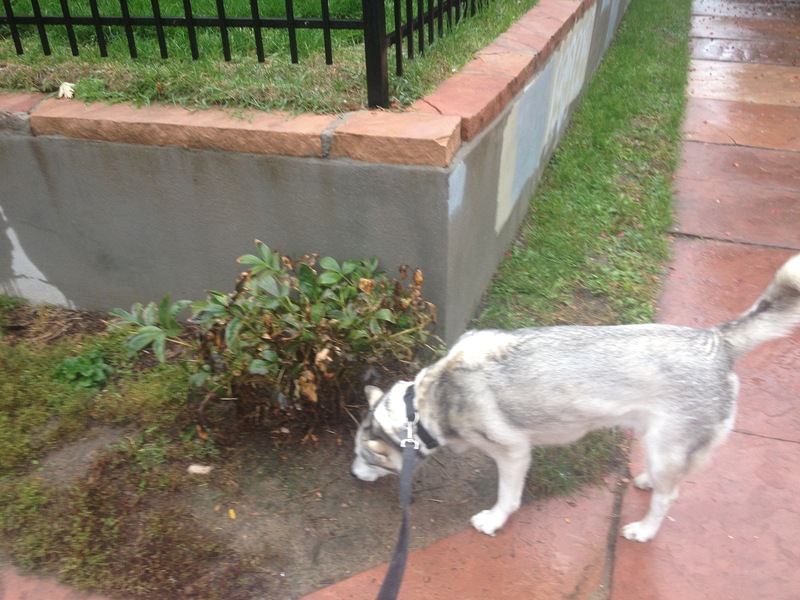 I will miss the way Juno greets people in the neighborhood, almost invariantly getting a positive response from anyone we would walk by. 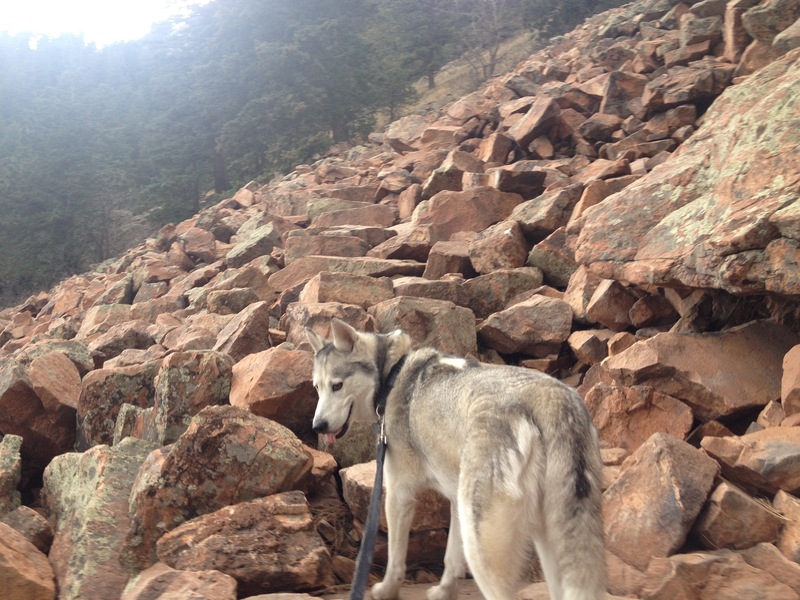 I will miss the way Juno problem solves her way through the rocky sections of hiking trails. I will miss the way Juno would always give me a facial expression that made me feel confident in knowing that she was happy to see me. I will miss the way Juno often sits on the ground in a manner that makes her look like a three-legged-dog. 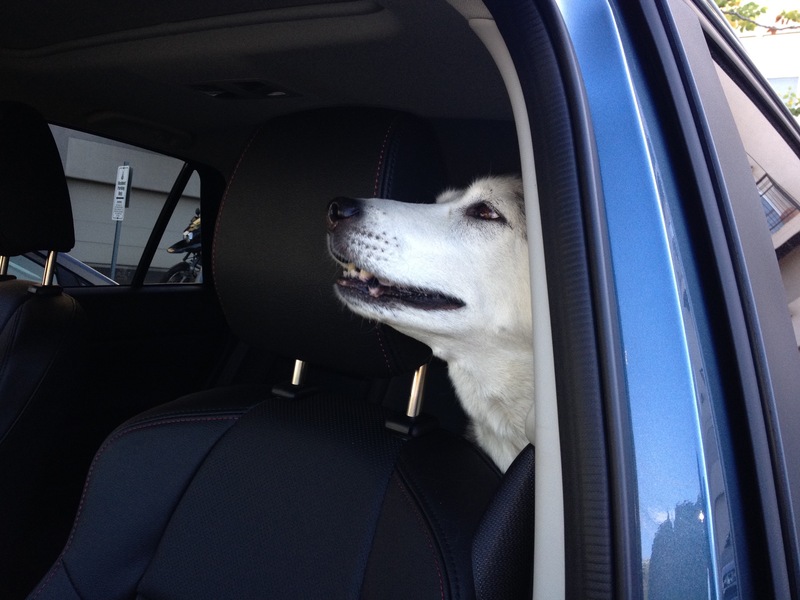 I will miss the way Juno would alternate between sticking her head in front of the head rest on the drivers and passenger seat sides on car rides. I will even miss the way Juno found sneaky ways to pull random chicken wing bones off the ground on walks, particularly on Sundays, without me noticing. Most of all, I will just miss the happiness she would always bring. I guess there is no better way to describe how I feel right now that simply with the word sad. Sure, there are thousands of other ways to complexify the emotion. 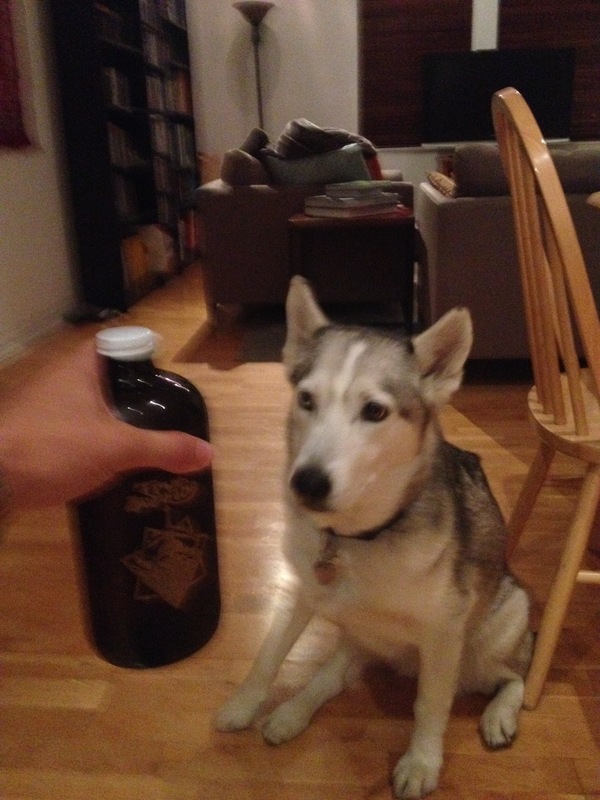 I know I took care of Juno responsibly, but was I responsible enough? 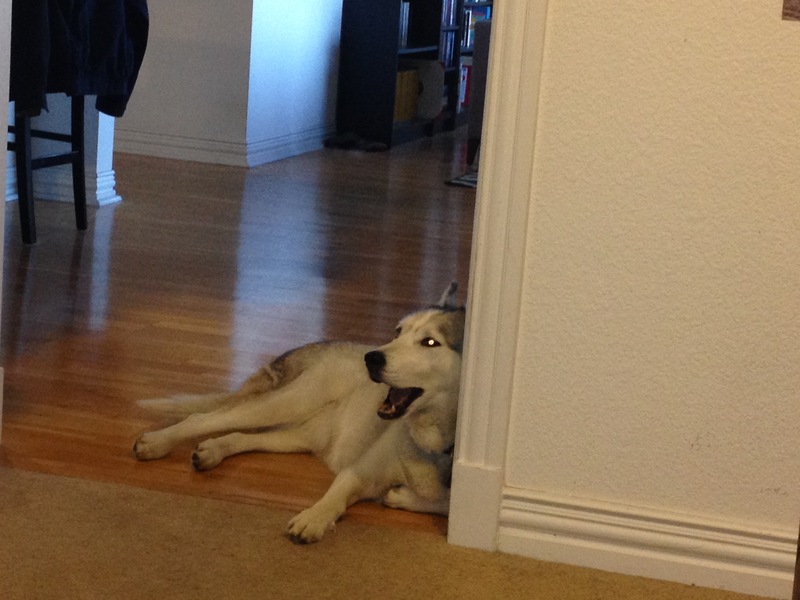 Juno started acting strangely roughly a couple of weeks ago. The main thing I noticed was that she was kind of lethargic, moving slower than normal, and drinking a lot of water. This felt to me like someone who has a bad cold, something which people can usually recover from with rest and plenty of fluids. It was not until Monday, when Juno did not appear to be recovering, that I brought her into the Vet. Still, I was not prepared to lose Juno this quickly. I was just perplexed by why she had not been recovering and still seemed to be acting strangely. 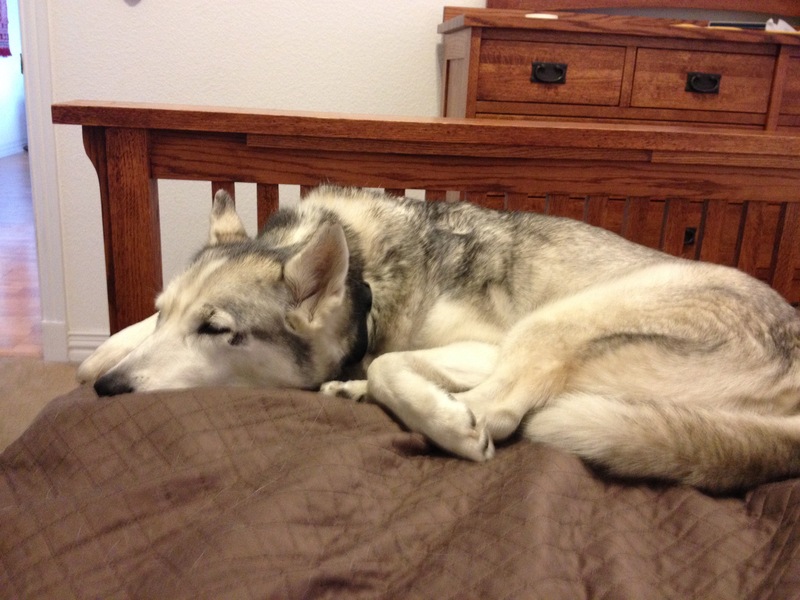 We had brought Juno home from an animal shelter in 2011, four years ago. At the time, the shelter told us she was five years old. Some of the vets we had brought her to had subsequently estimated her age to be less than five. So, at most she had been nine years old. And, although she had EPI, a disease that renders a dog’s pancreas as useless (we had to mix her food with enzymes to get her to absorb it properly), I still seriously had expected to have her for at least several more years. 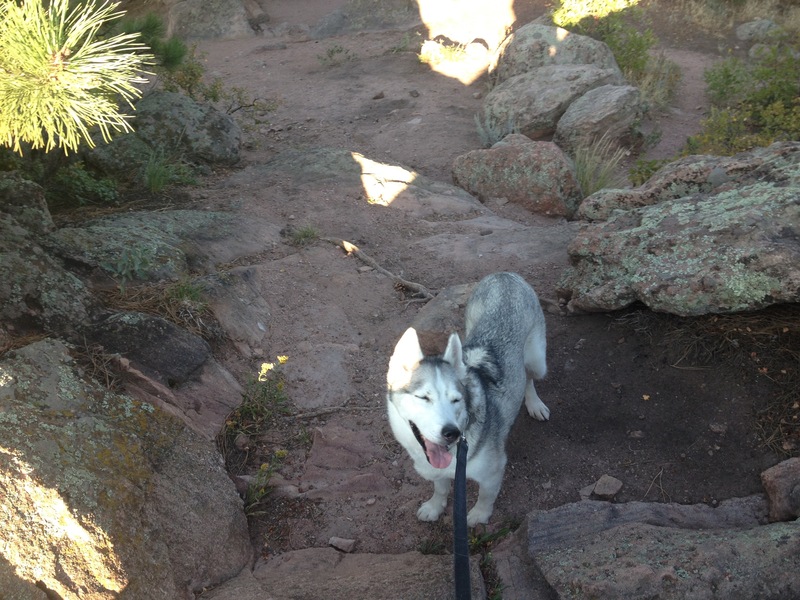 I took Juno on adventures, but did I take her on enough of them? Did I really give her the life she deserved? A look through this travel blog, which covers much of what I had done for a large portion of the time I had her, shows many adventures she was a part of, but also many adventures in which she was not included. Additionally, as someone who has had to work standard M-F 9-5 types jobs for much of life, she has spent a good number of weekdays home alone for more than eight hours. I know this is typical in today’s society, but does that make it right? I wonder how she felt all those days. Mostly, I just hope I gave Juno the best life I could have given her. Because, as many animal lovers will attest to, a dog is not just a pet, it is part of the family. I remember how strange it would feel to come home to an apartment without a dog anytime I would be out of town for the weekend and have brought Juno somewhere else. The coming weeks will not only feel strange, but sad. There are some sad events where one reach deep down inside and find a way to take comfort. Many people can find a way to come to view a lost job as “for the best”, or see something like the not-quite world series bound Chicago Cubs as still having had a “great season” that “exceeded expectations”. But, when it comes to something like this, I dig down, deep inside my heart, and all I see is a hole, for I know that I had a great pet and a great companion, she is gone, and there is nothing I can do about it. 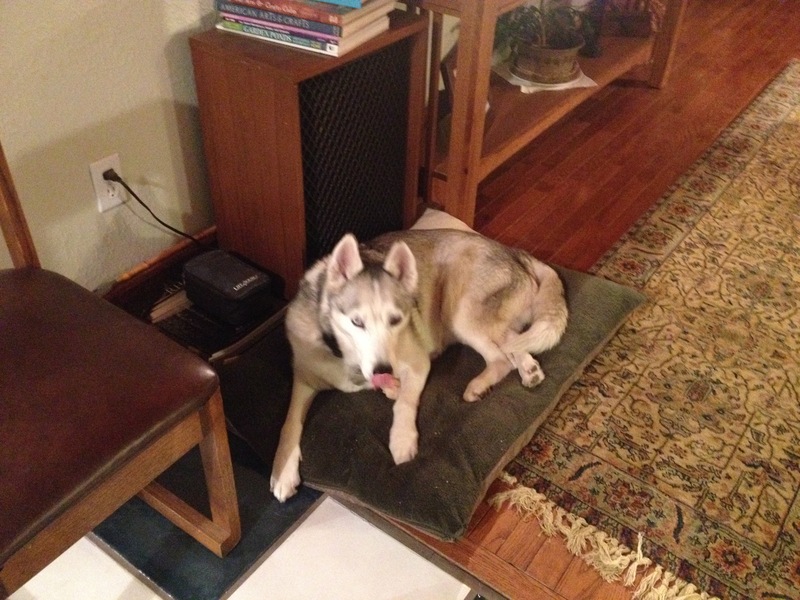 This entry was posted in lifestyles, local culture, sociology and tagged Dogs, grief, loss, pet ownership, pets, travel companions on October 28, 2015 by Stephen Jaye.